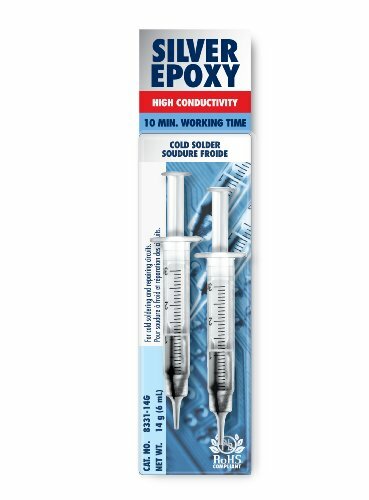 The MG Chemicals 8331 is a two-part silver-filled epoxy adhesive with good conductivity and a faster working time than MG Chemicals 8331S adhesive to bond electronic devices, form conductivity seals, and cold solder heat-sensitive materials. It cures at low temperatures to avoid damage to electronic equipment and bonds well to most materials used in such devices. It also provides protection against electromagnetic (EMI) and radio frequency (RFI) interference. 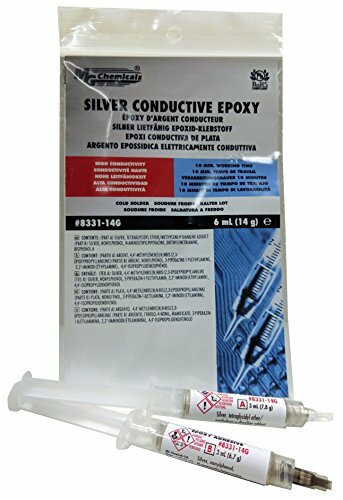 The epoxy adhesive resists water, brine, acids, bases, and aliphatic hydrocarbons, and cures to a silver gray color. It is RoHS (Restriction of Hazardous Substances) and REACH (Registration, Evaluation, Authorization of Chemicals) compliant. MG Chemicals manufactures chemical products for the electronics industry. The company, founded in 1955 and headquartered in Surrey, BC, Canada, meets International Organization for Standardization (ISO) standard 9001.